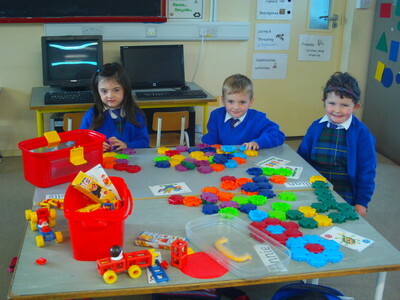 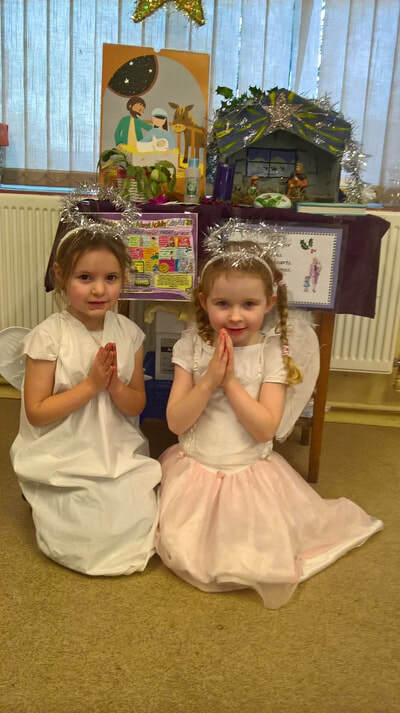 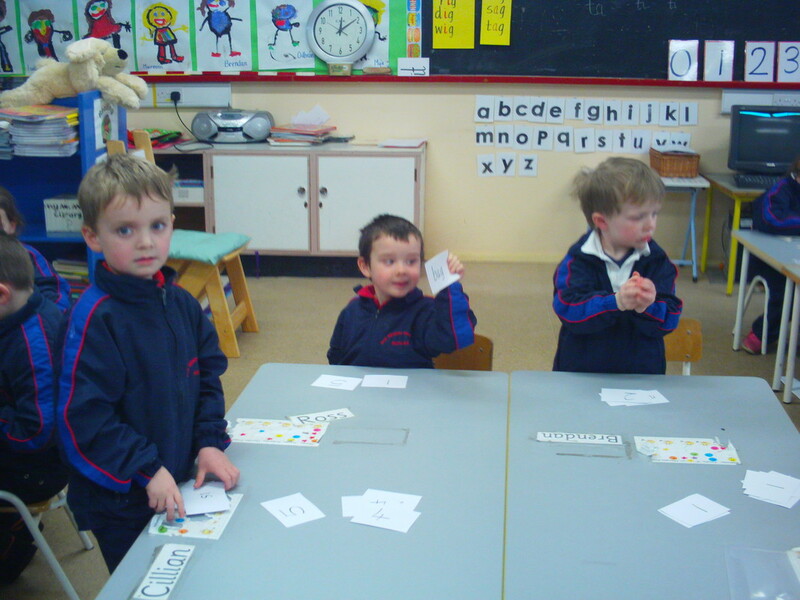 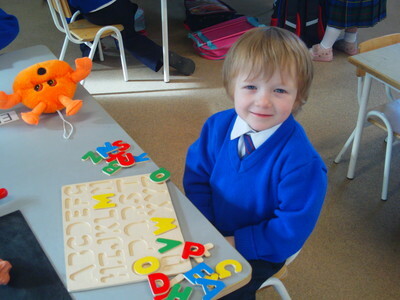 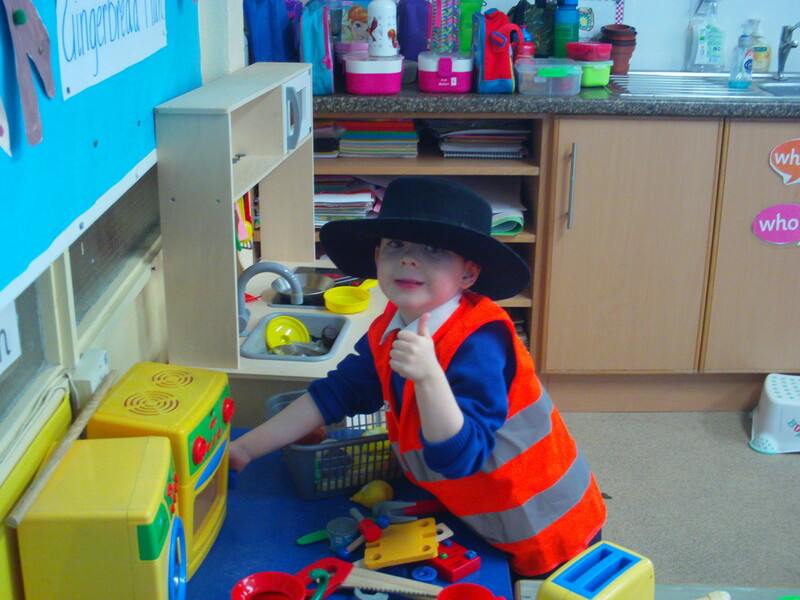 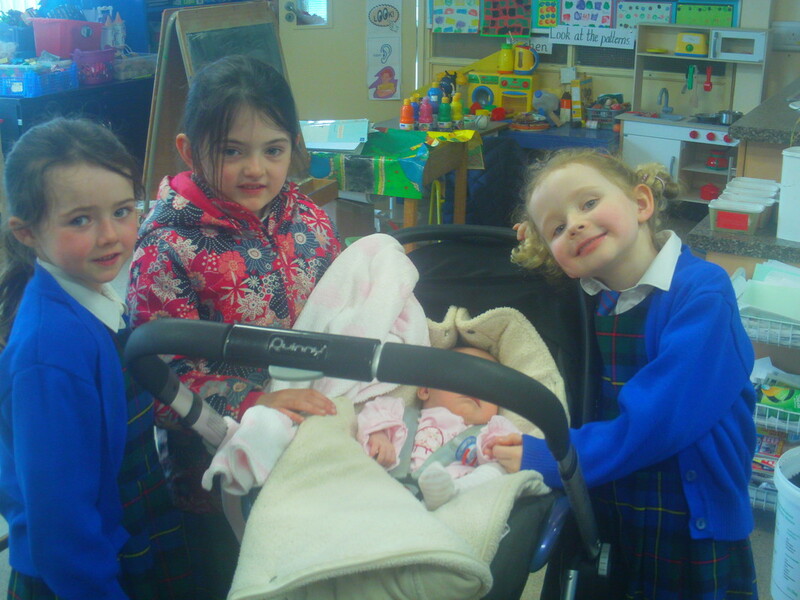 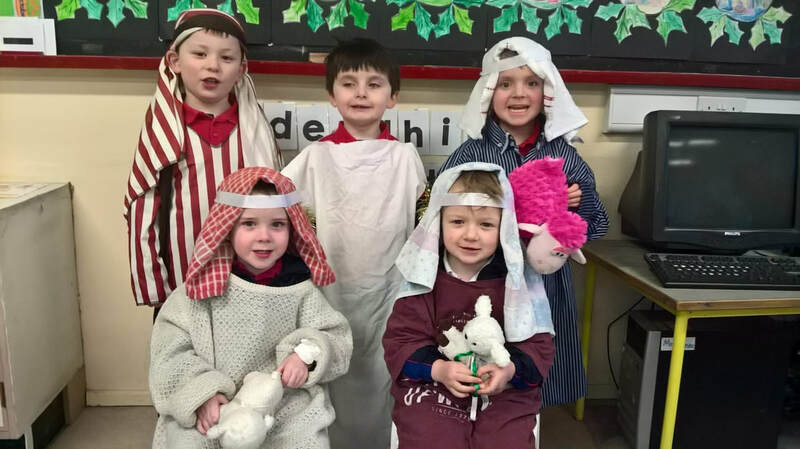 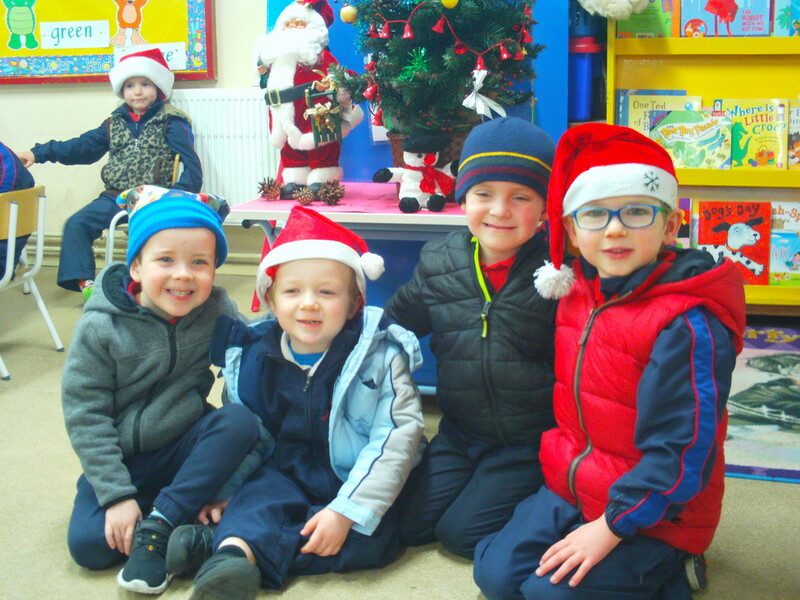 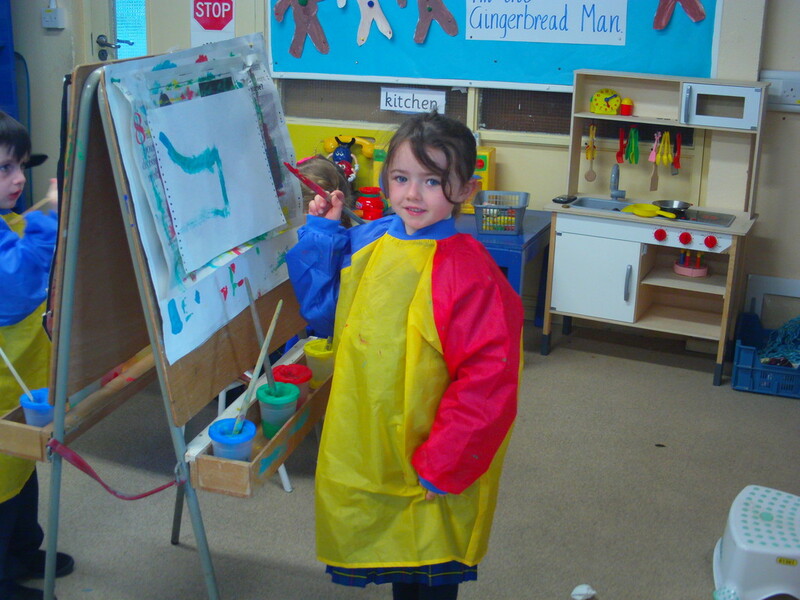 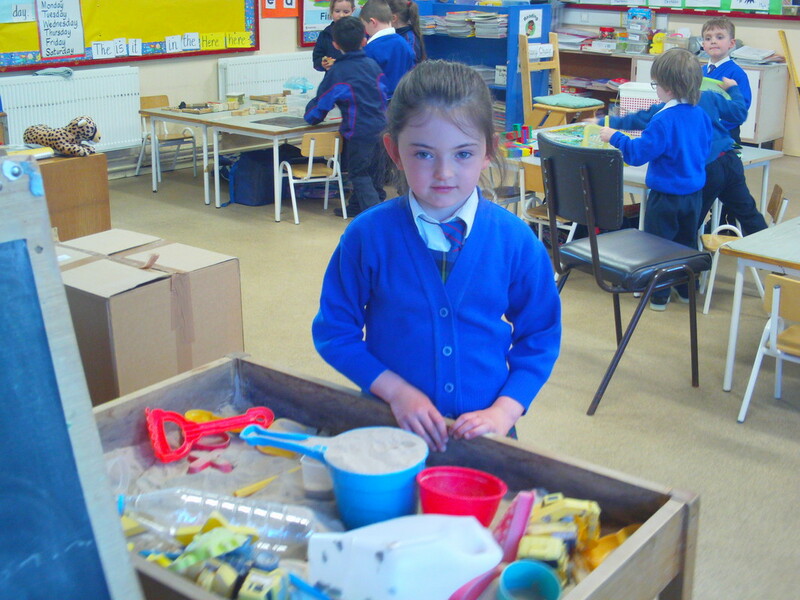 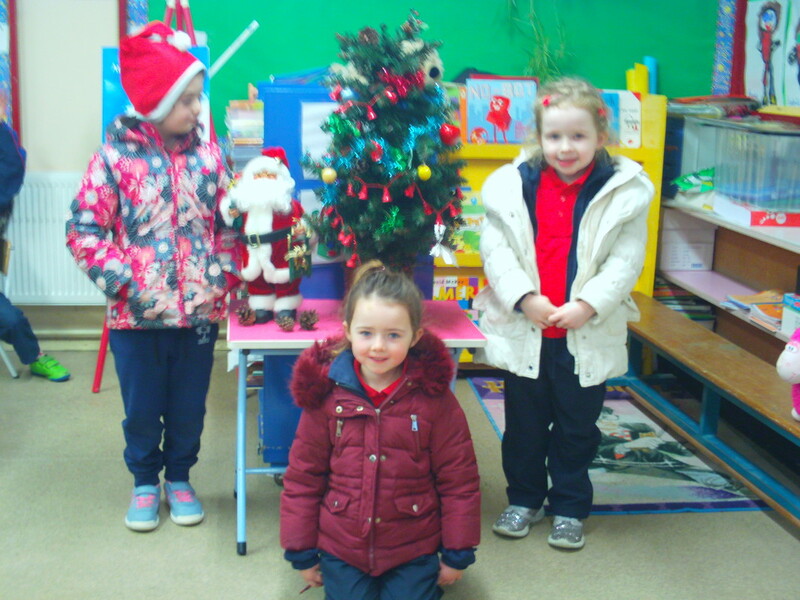 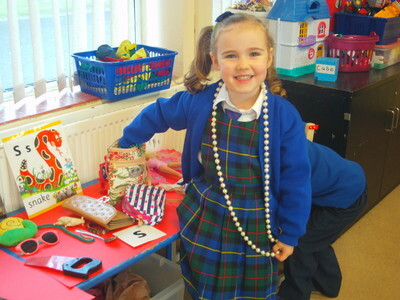 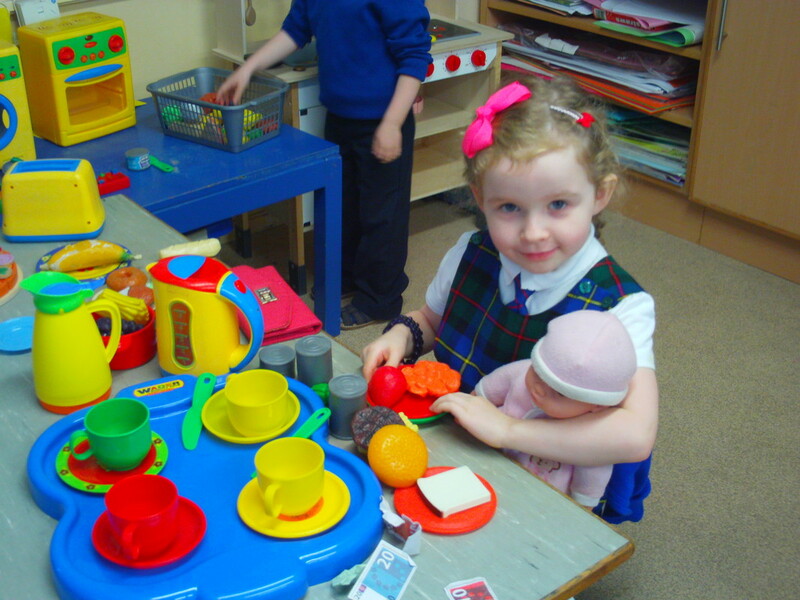 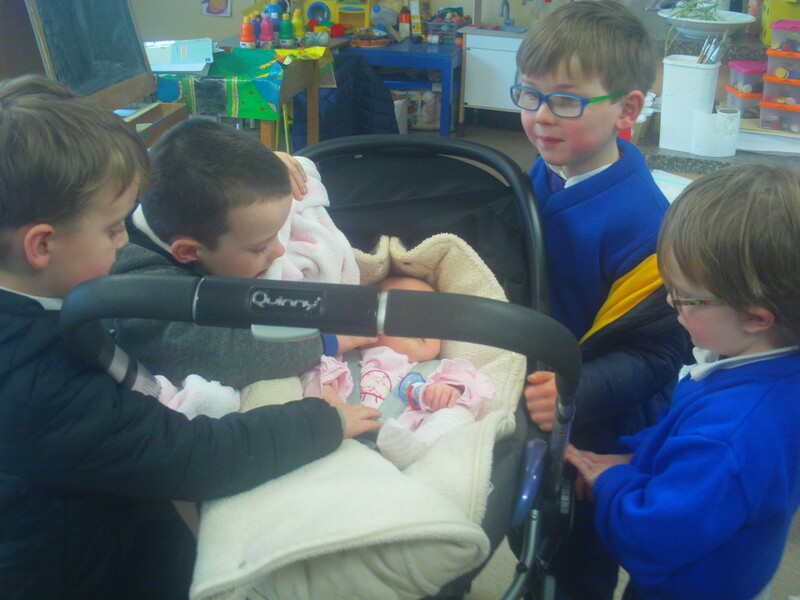 The Junior Infant classroom is a very busy room. 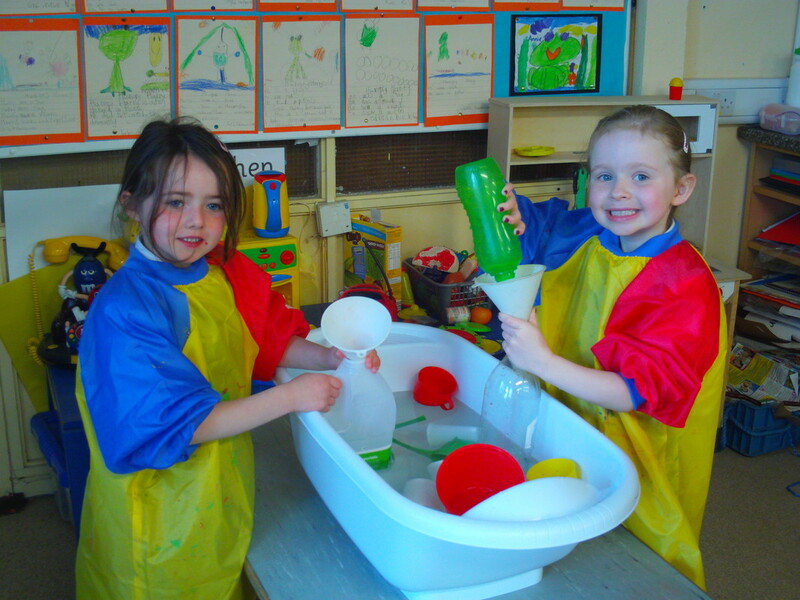 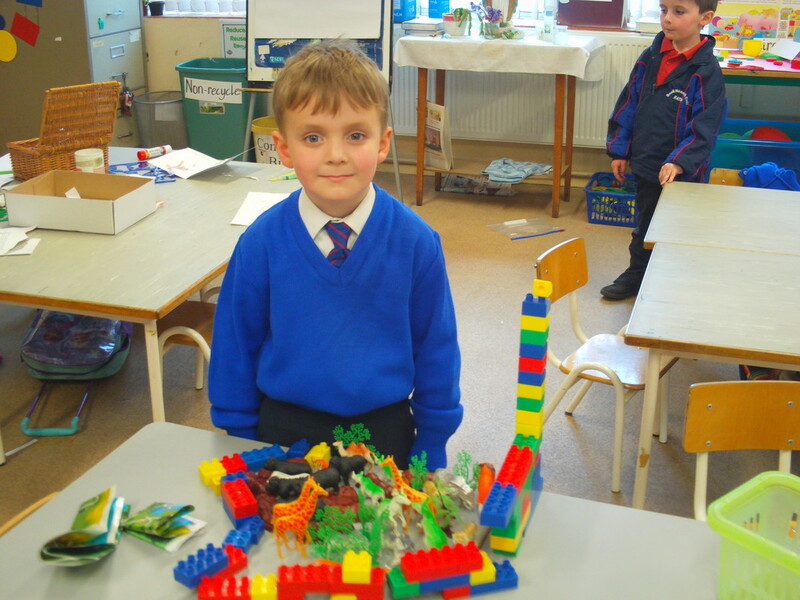 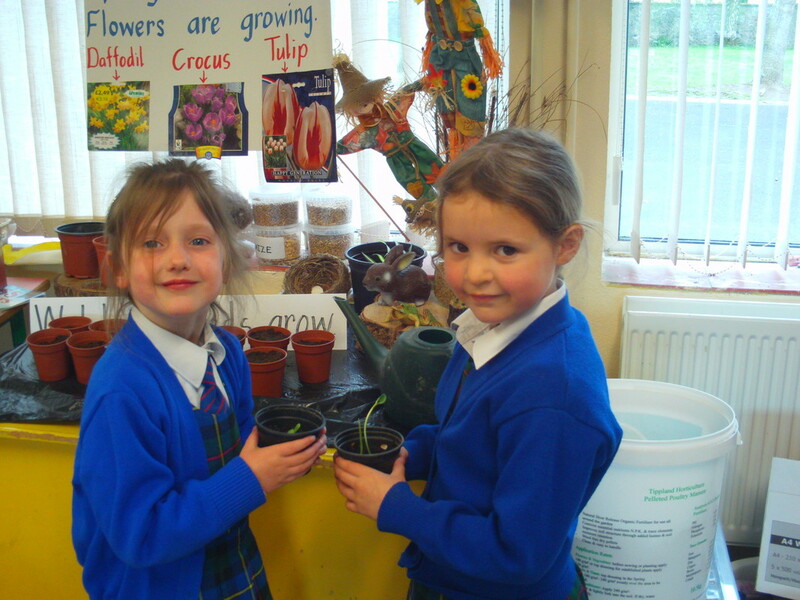 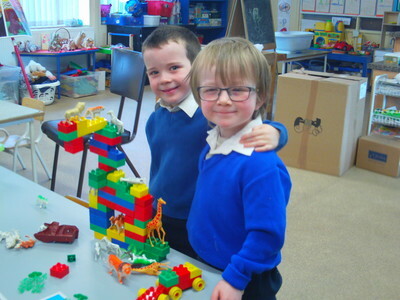 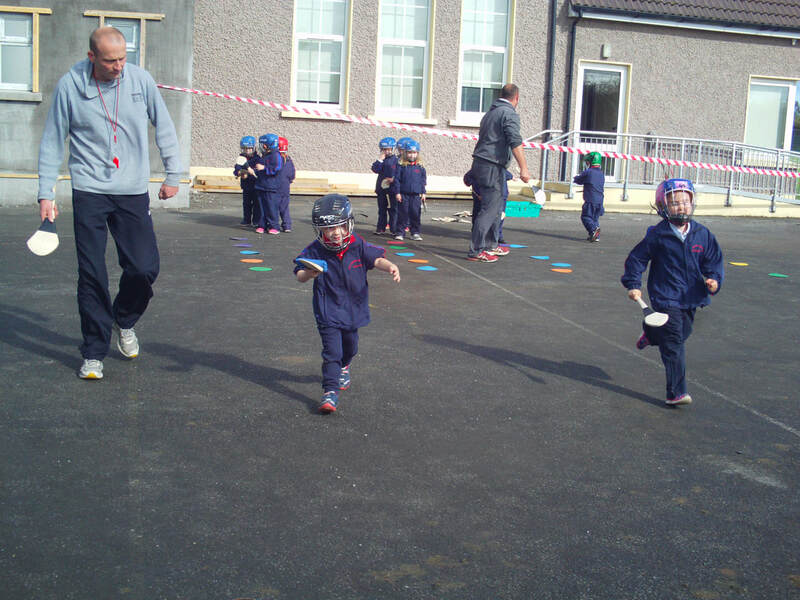 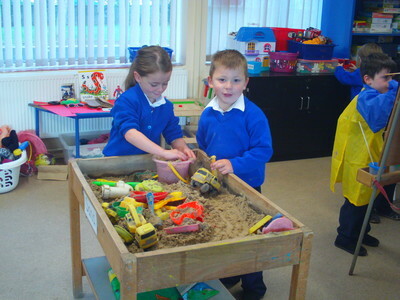 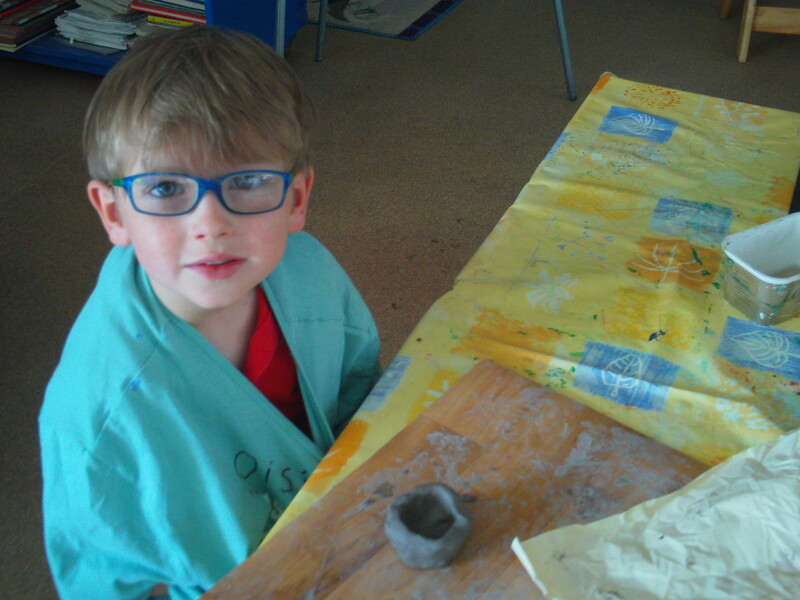 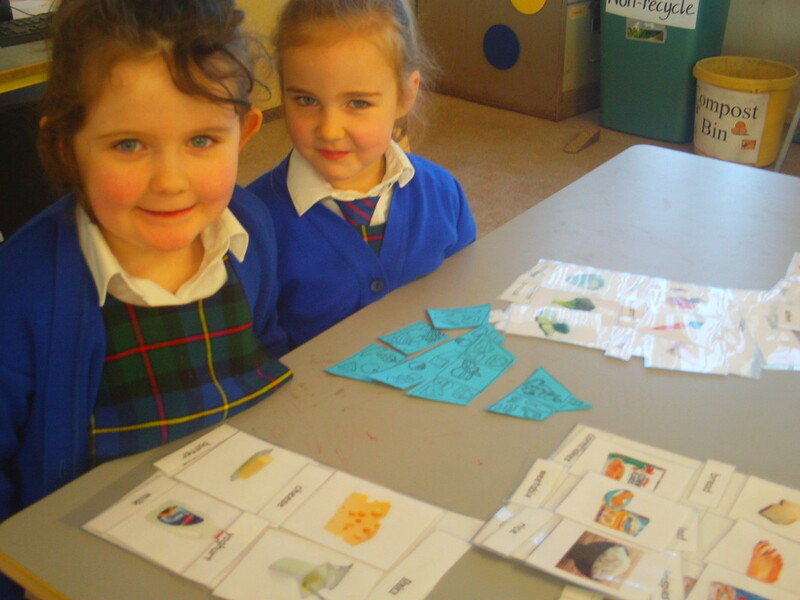 We have lots of fun learning and discovering new things. 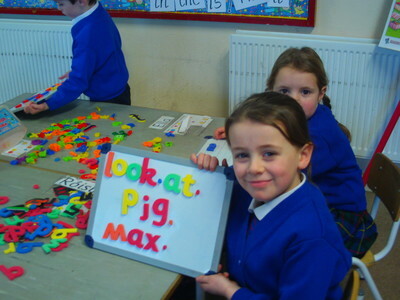 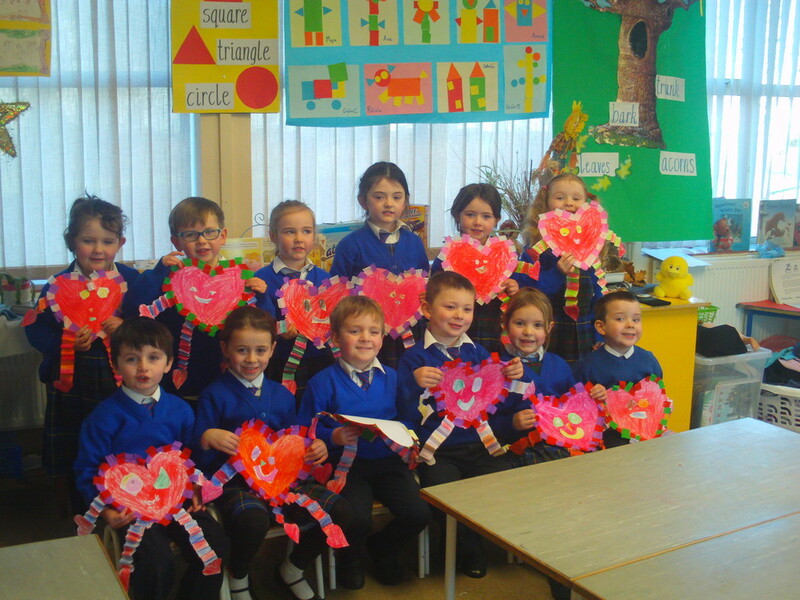 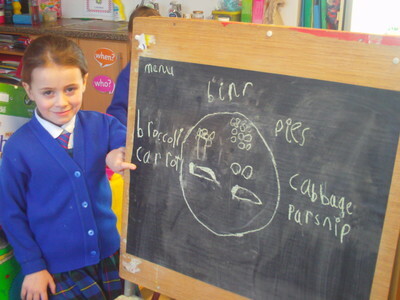 There are fourteen pupils in the class and our teacher's name is Ms. Walsh. 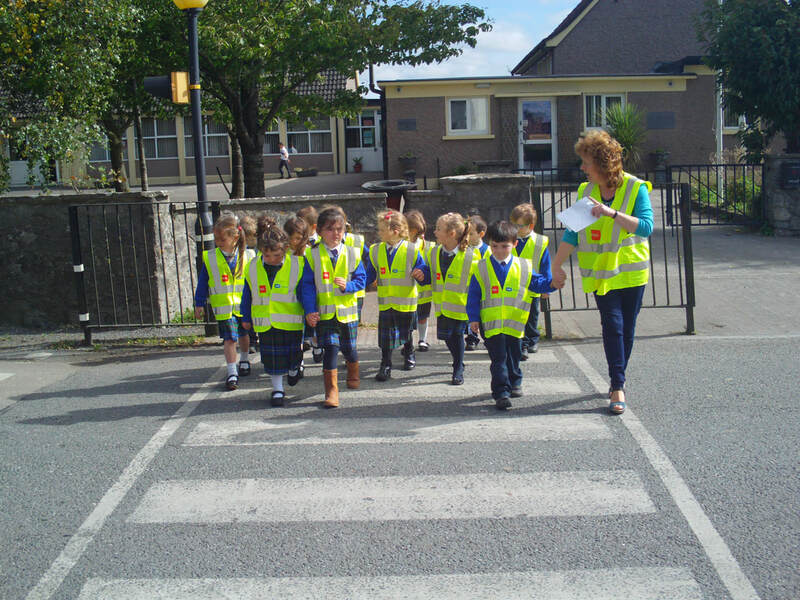 We learned the Safe Cross Code. 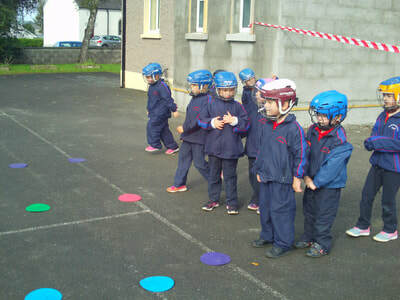 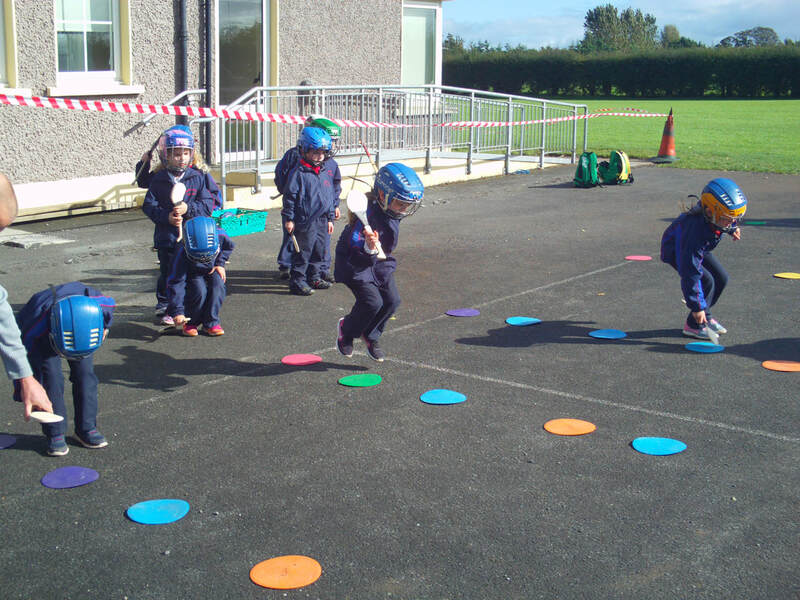 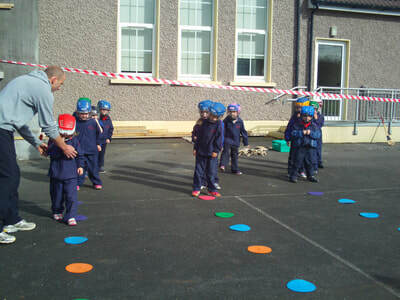 Look at how we crossed the road safely. 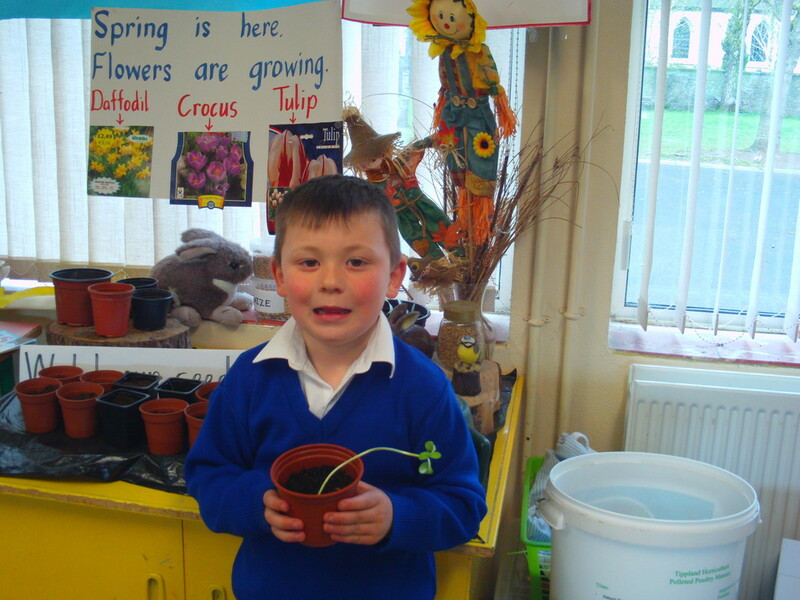 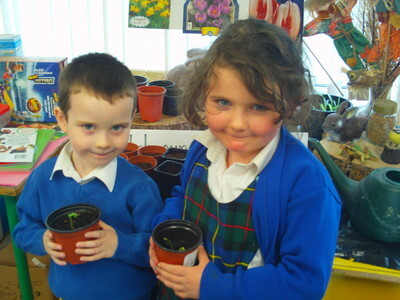 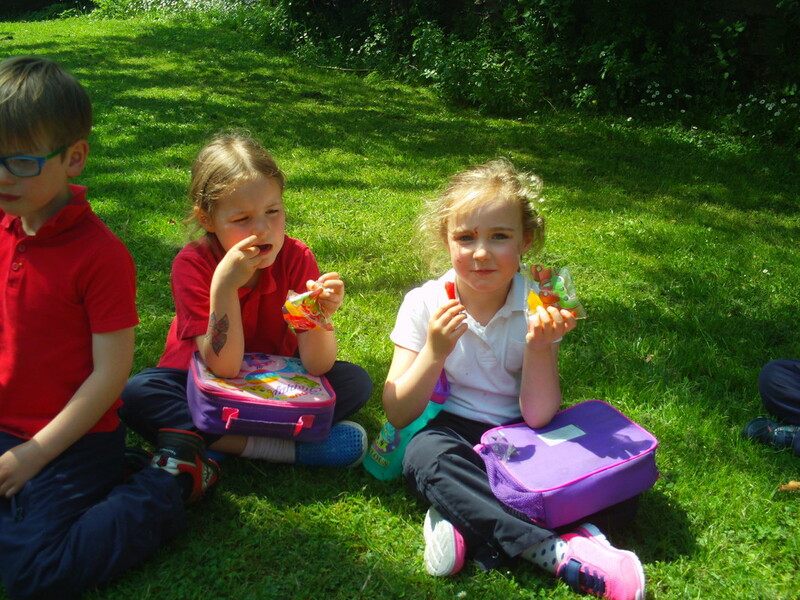 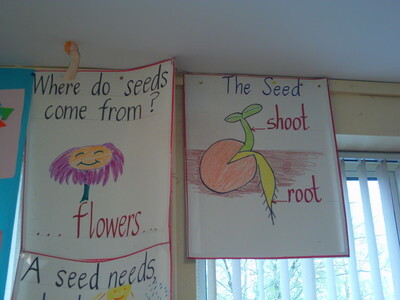 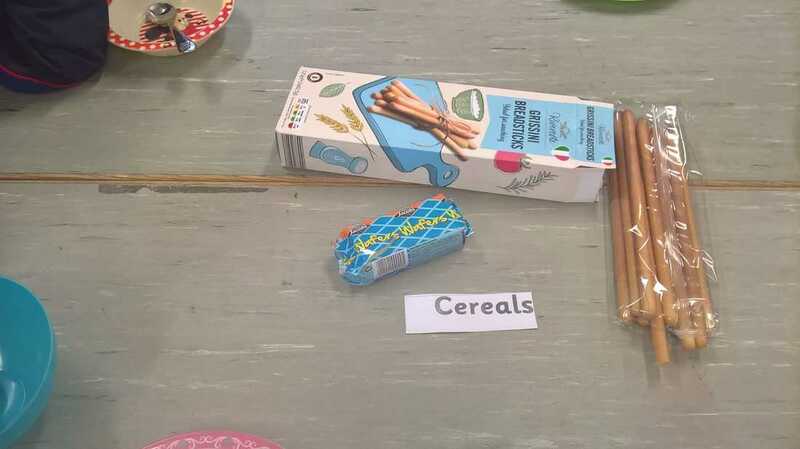 We love learning about nature. 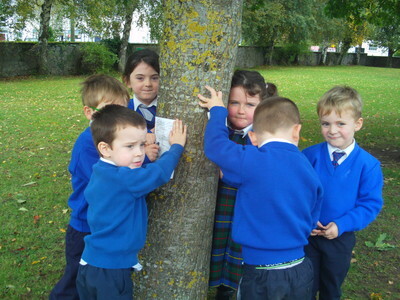 Trees give us healthy air and they provide homes for many different birds and animals. We discovered that our oak trees have rough, "bumpy" bark and trunks. 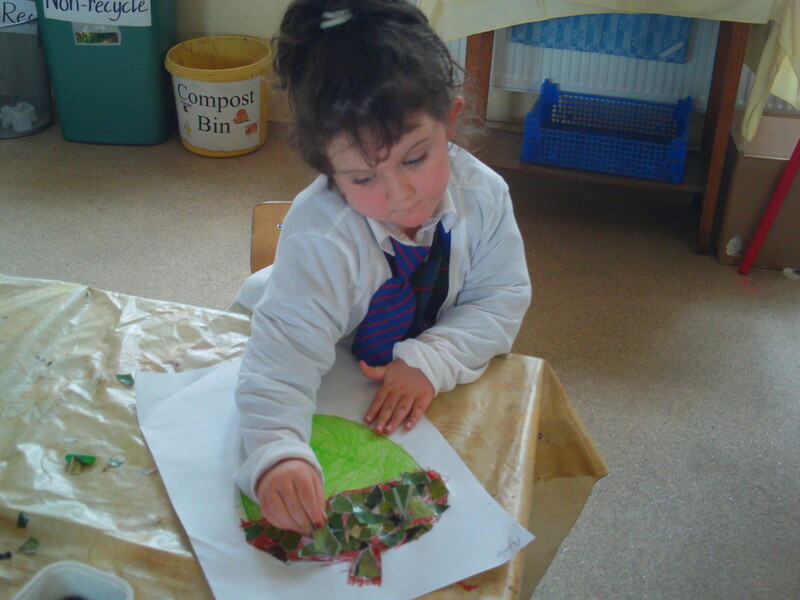 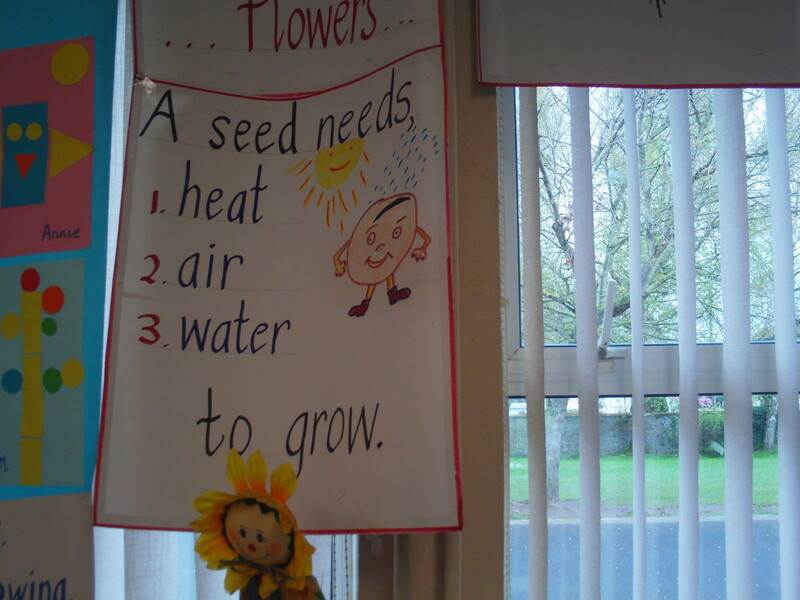 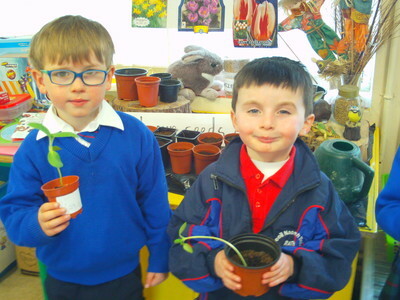 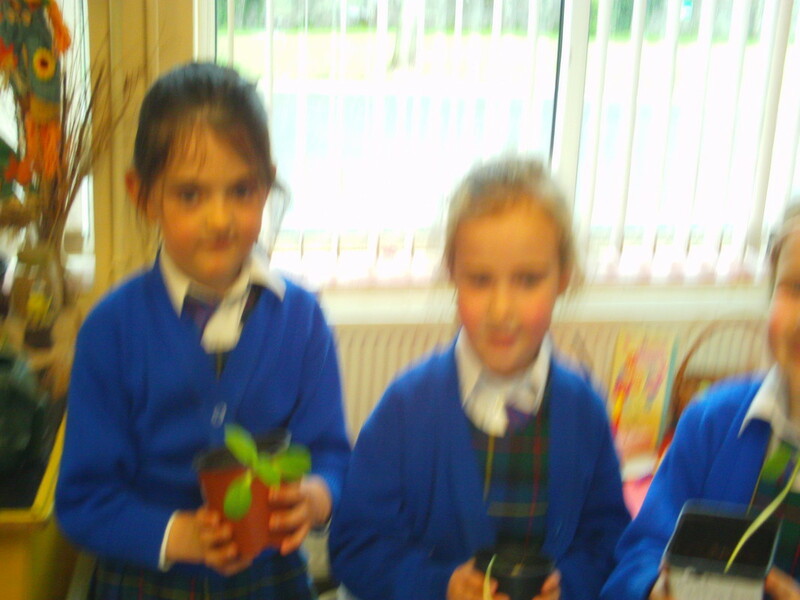 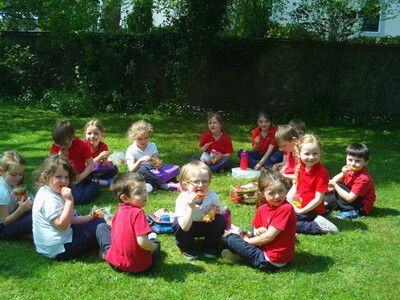 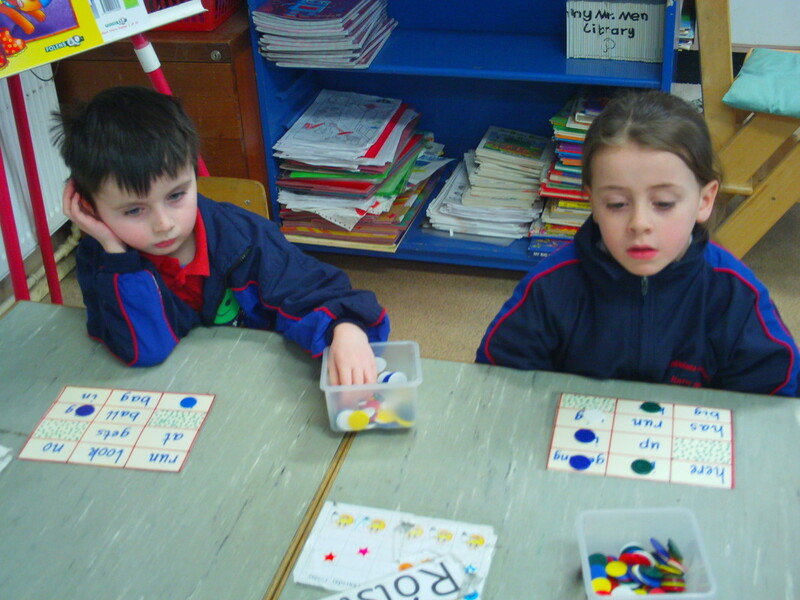 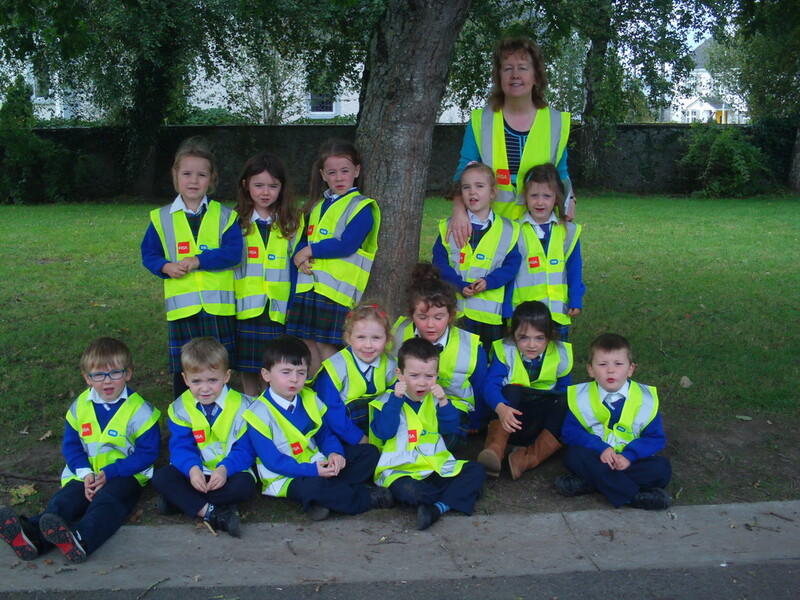 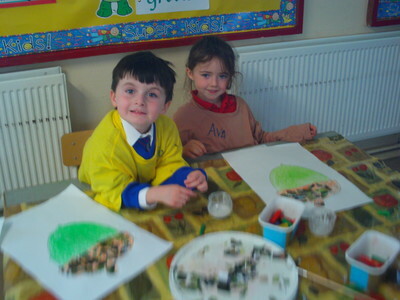 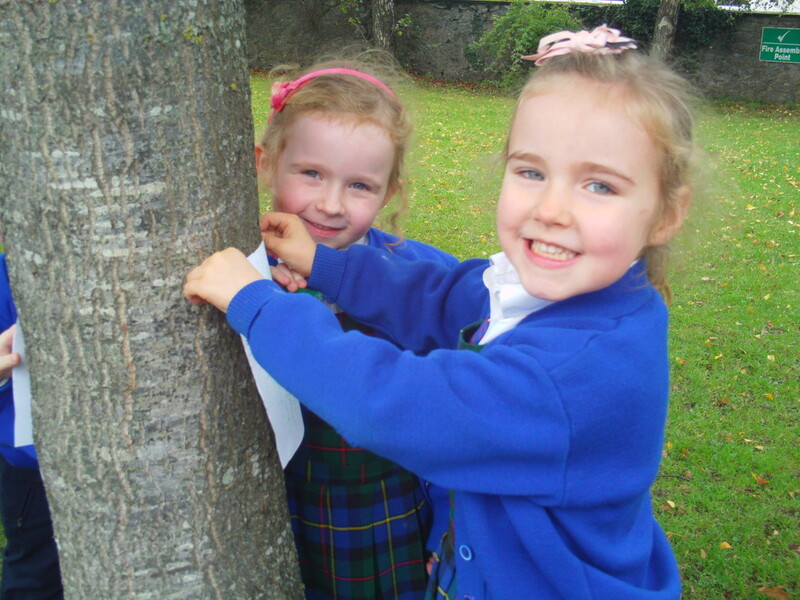 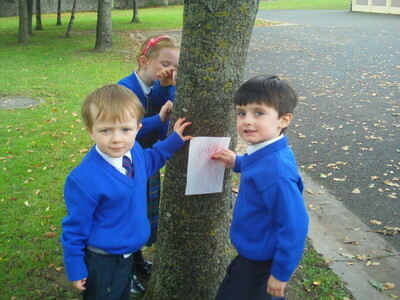 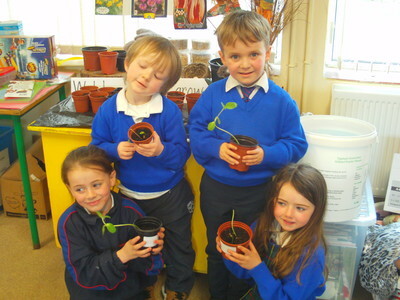 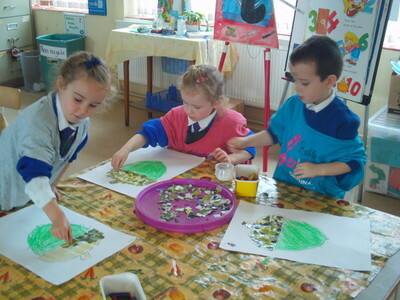 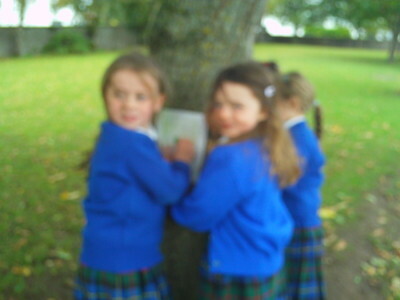 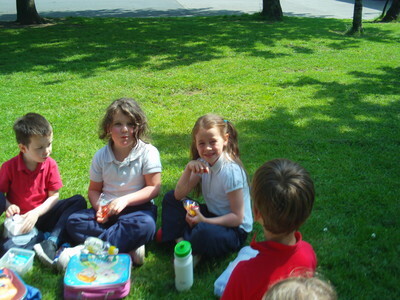 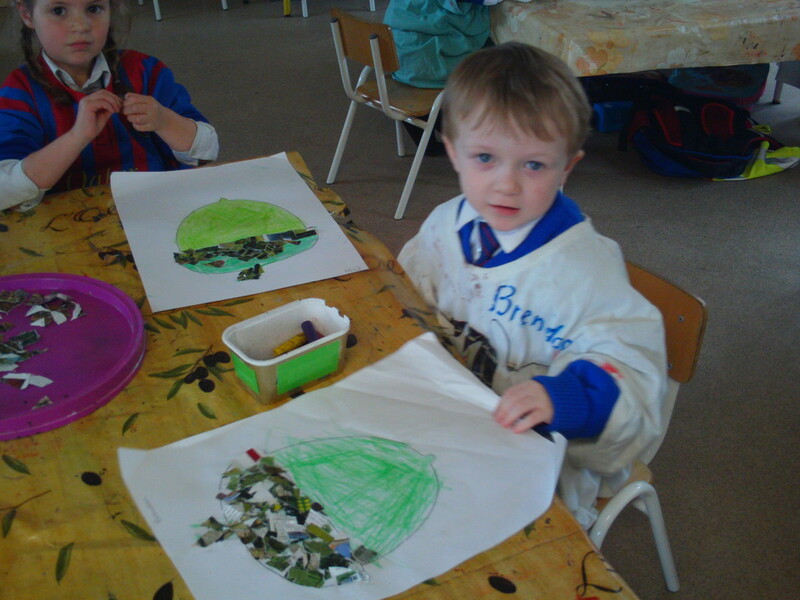 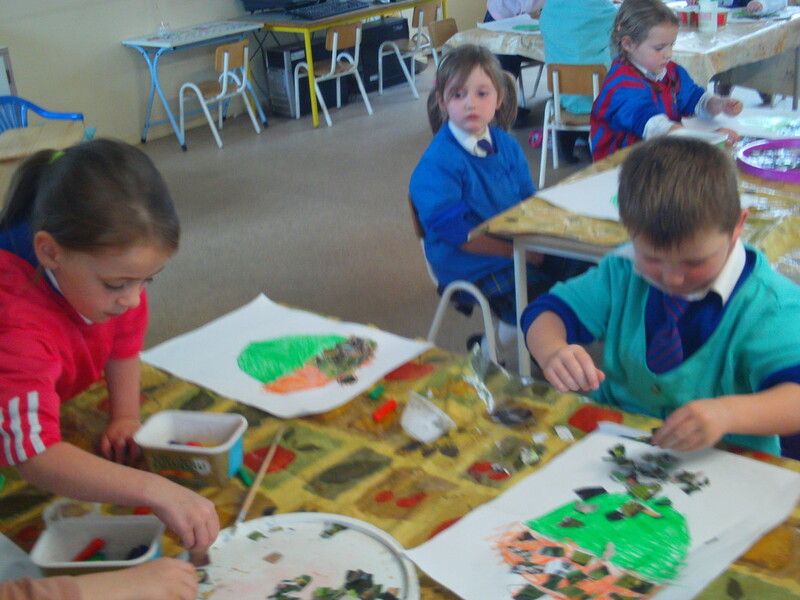 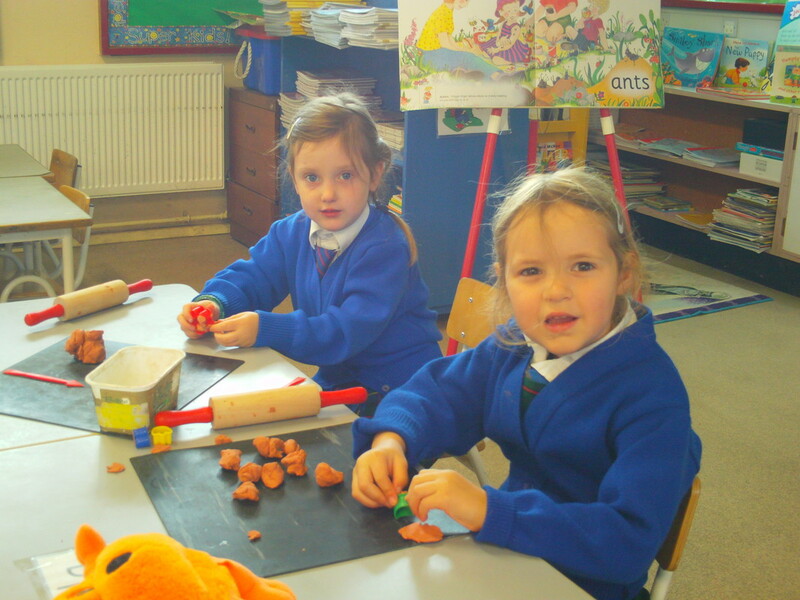 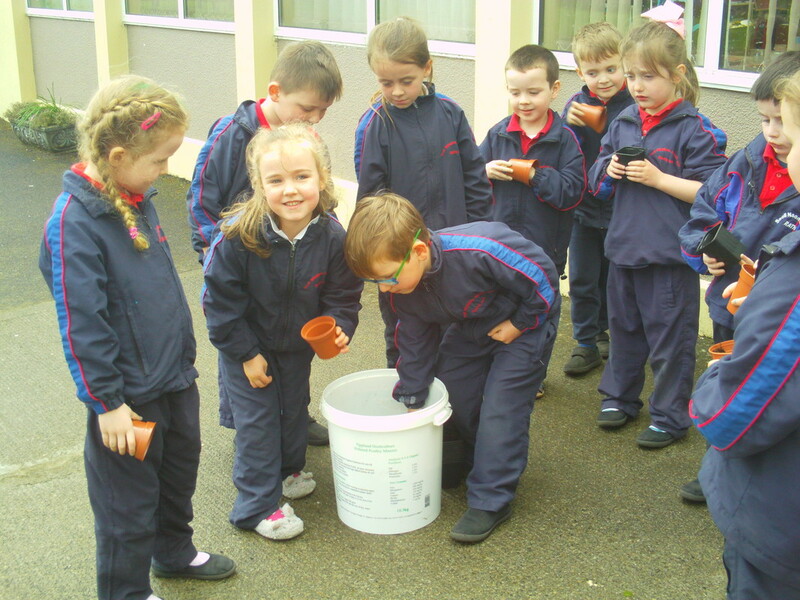 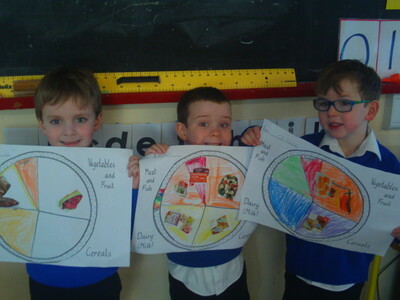 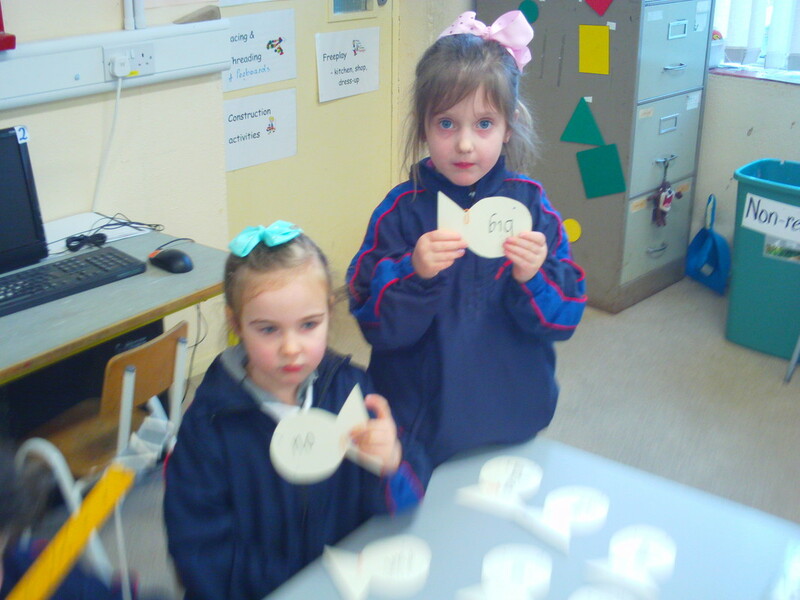 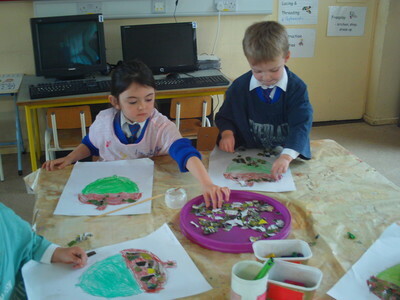 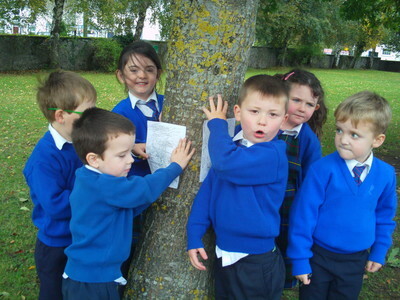 Making our Acorn Collages . . . .
"From Little Acorns grow Mighty Oaks "
We went on a bus to Birr Theatre. 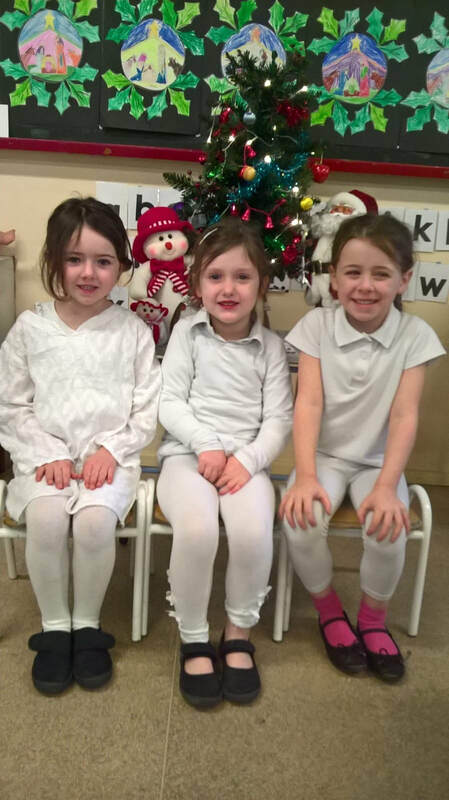 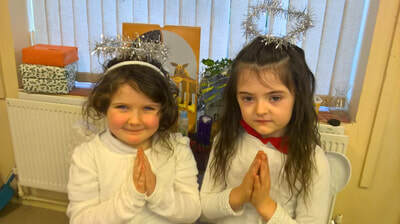 We enjoyed the musical " Rudolf Saves Christmas".. 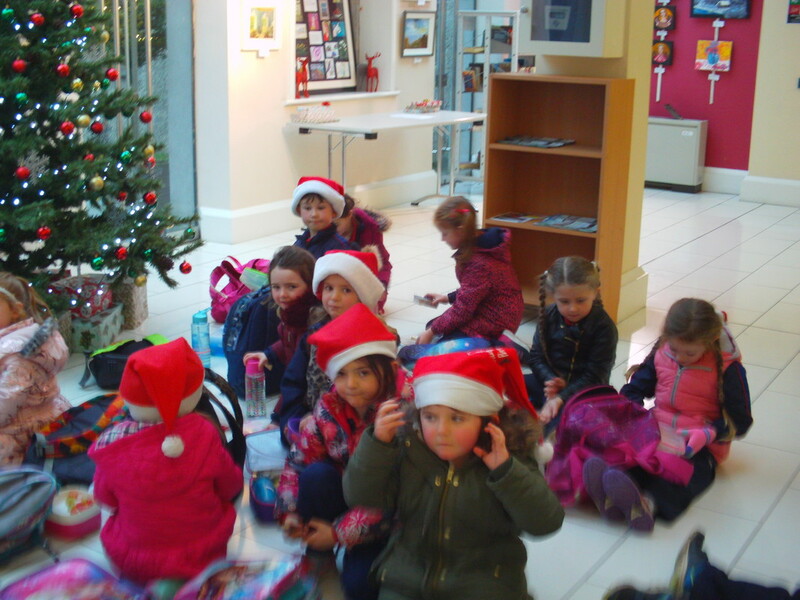 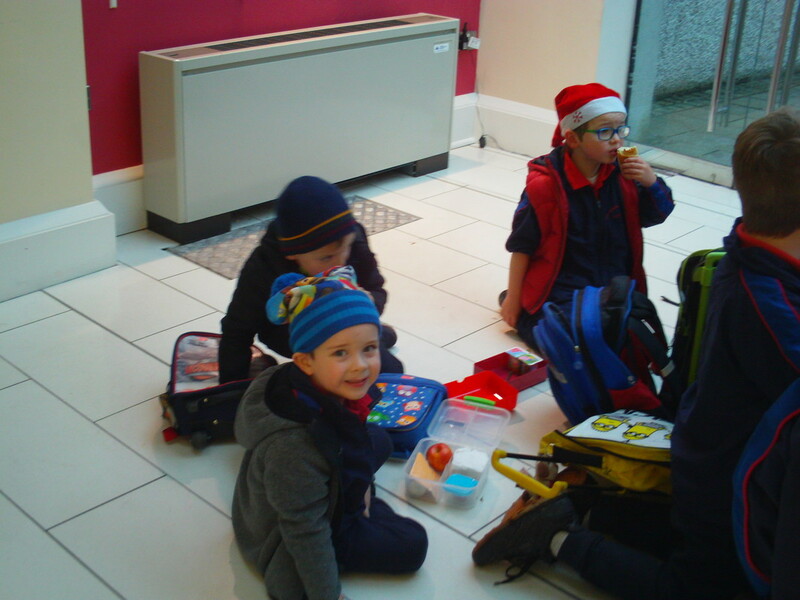 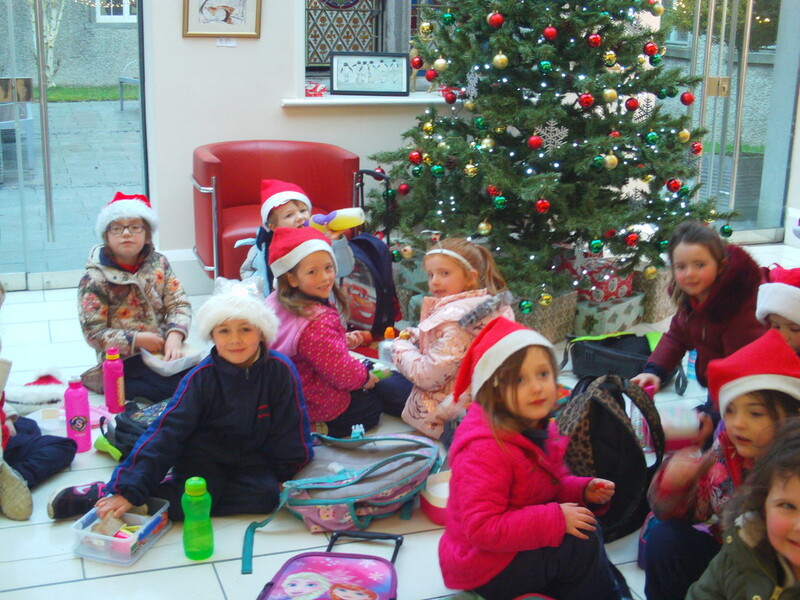 Here we are ready to go..... .. . ..
We went to Birr Library.. 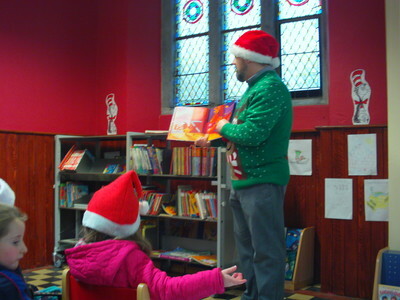 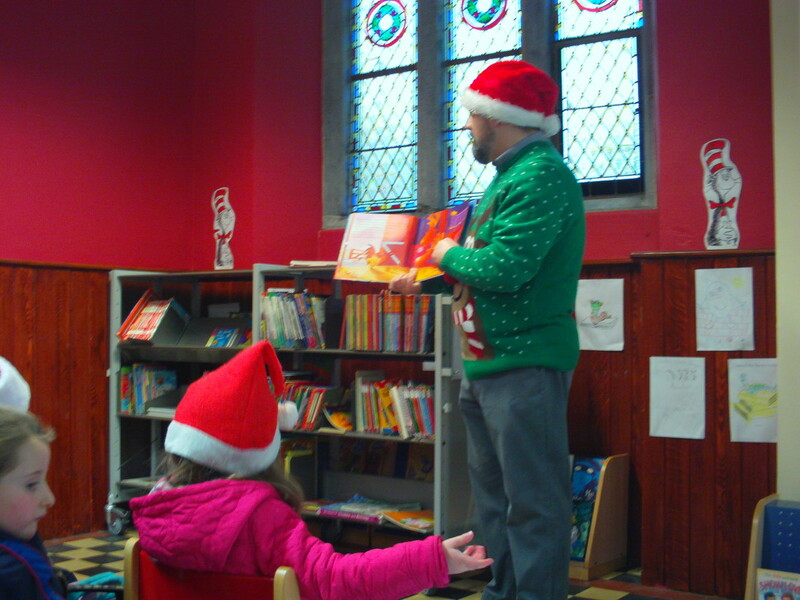 The librarian read some Christmas Stories. 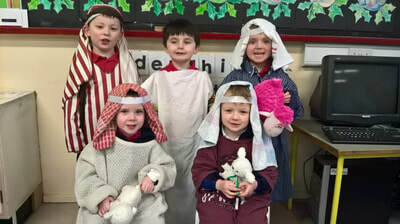 Mary & Joseph with Baby Jesus. 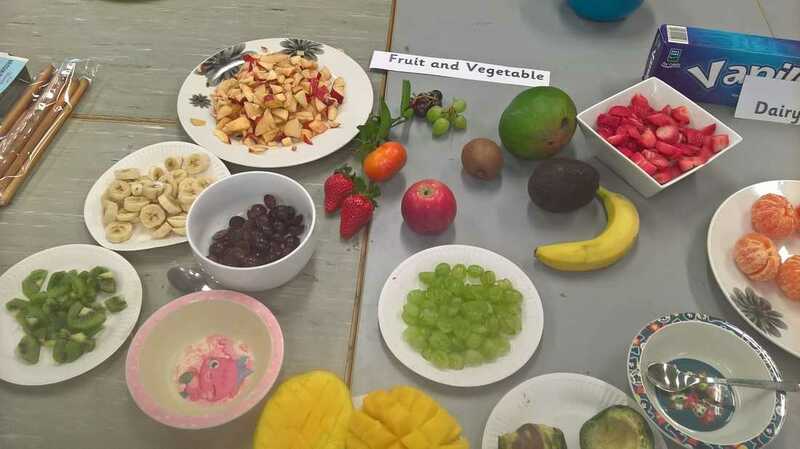 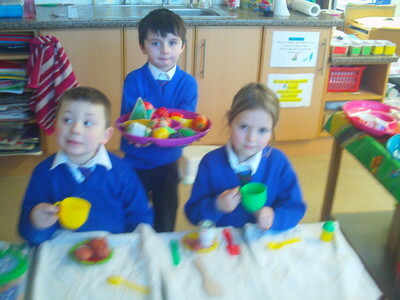 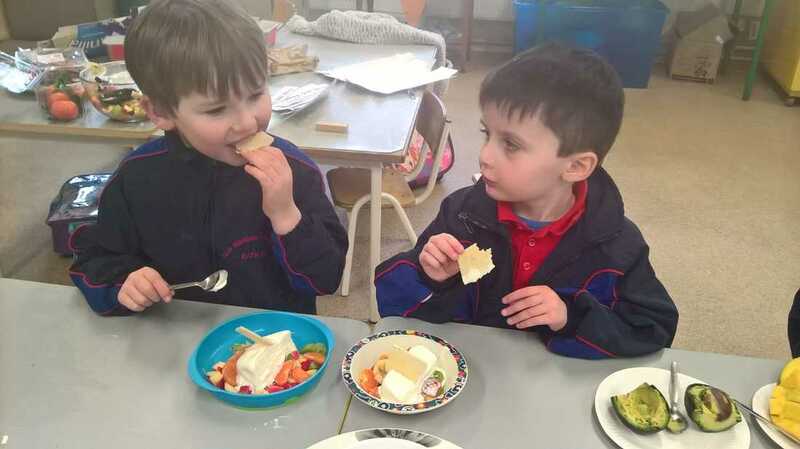 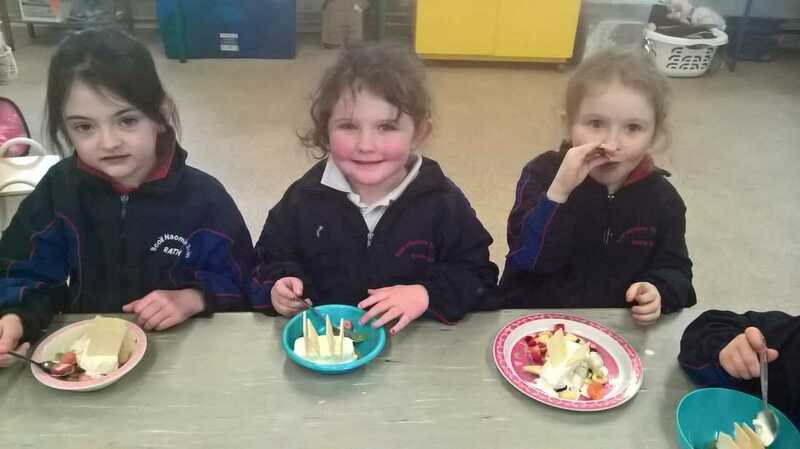 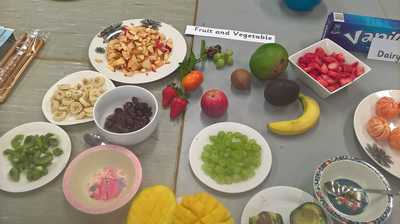 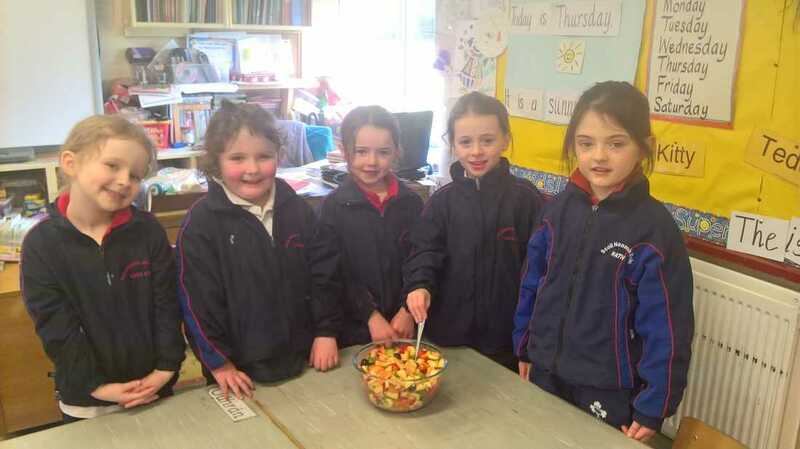 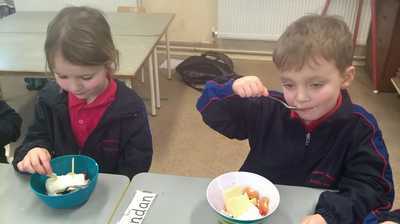 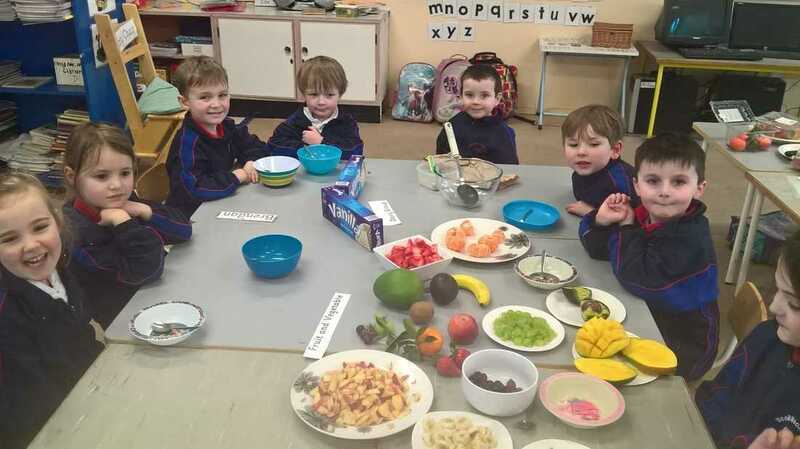 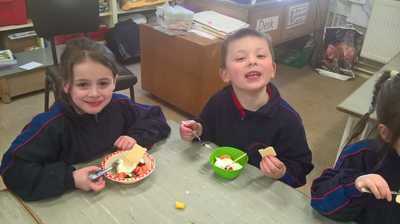 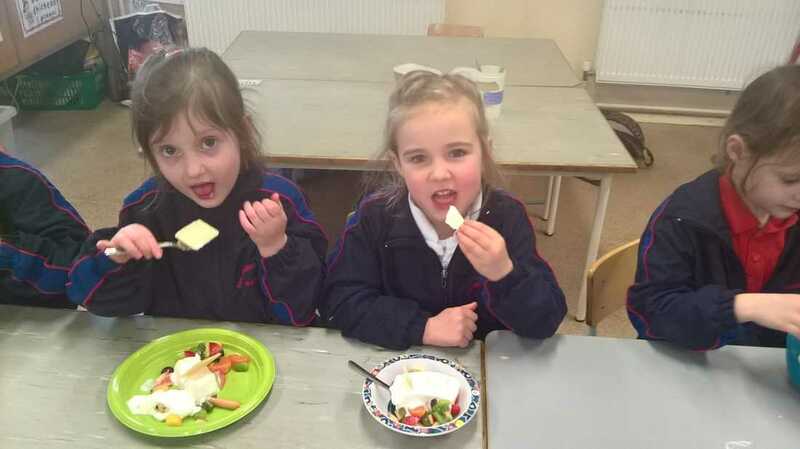 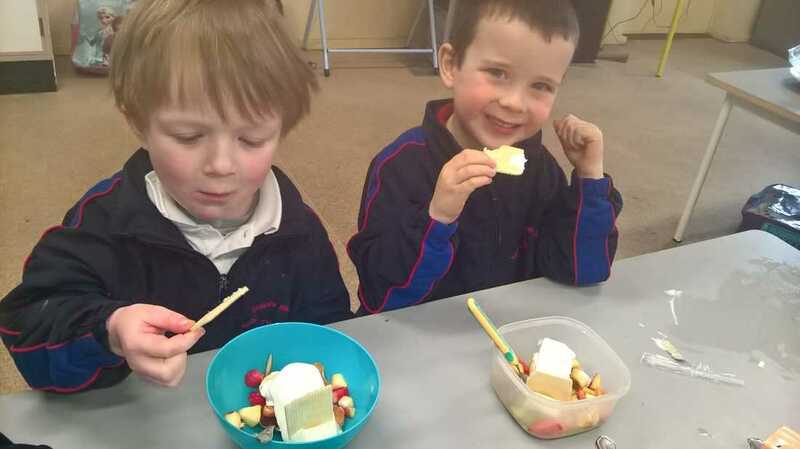 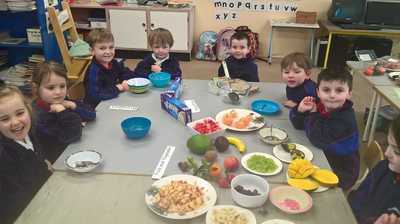 Look what we made... a yummy fruit salad! 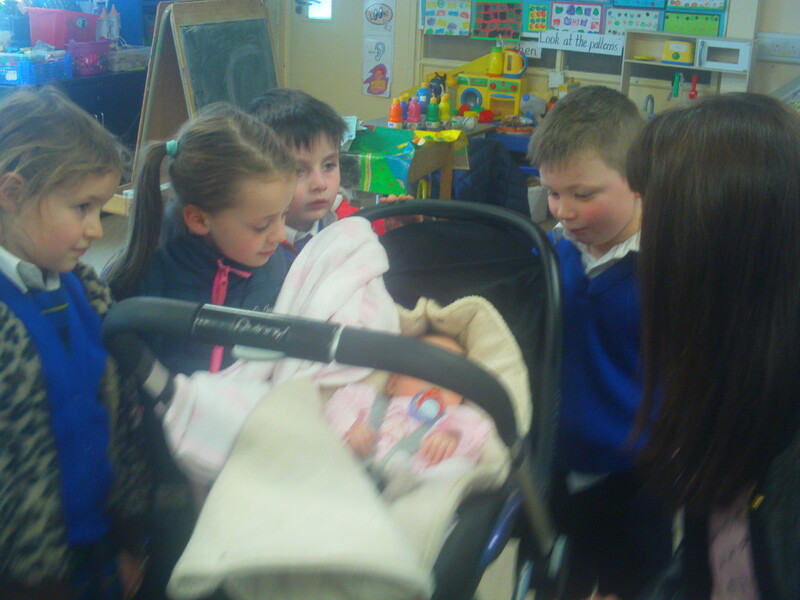 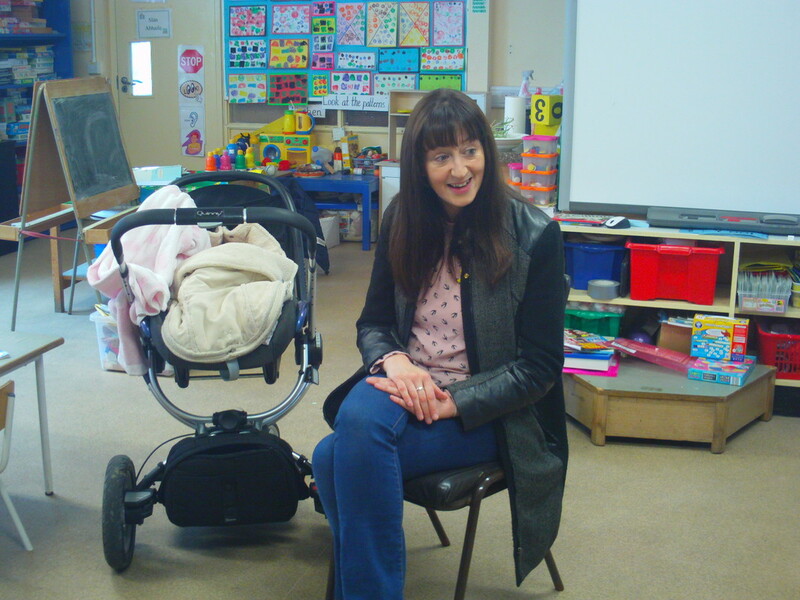 We had a little visitor in our class today. Baby Maggie came with her mum. 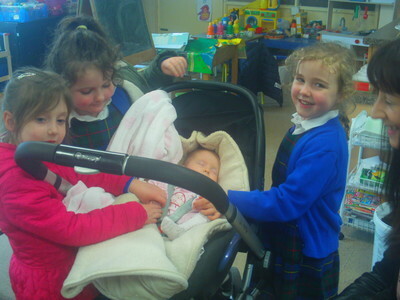 Babies grow and change all the time just like us. 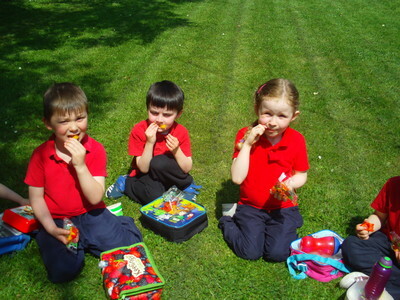 Food Dudes having a picnic lunch in the sunshine.